Located in the center of Japan, and easily accessible via shinkansen or direct flight to Nagoya’s Central Japan International Airport, this vibrant city is often overlooked. Singapore has direct flights to Central Japan International Airport of Nagoya, or you can easily get here via bullet train from/to Kyoto (a mere 30mins ride) or about 1hr 40mins from/to Tokyo. 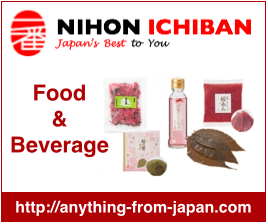 With a long history since the feudal lords era, Nagoya went through the Edo period to being one of the key modern cities of Japan, while retaining strong traditions and its own Nagoya-meshi (local cuisines). So if you are thinking about what to do, here is rounding up the 7 best things about Nagoya! This is omotenashi (Japanese hospitality) at its very best. If you love traditional accommodation, impeccable service, onsen, ocean views, amazing food (the list goes on), then you just need to venture out of Nagoya city central a little to Wakamatsu Chita Hot Spring Resort located at Utsumi. With a personalised ferry service from the train station, a phone call to the ryokan brought me and my hubby to the door of this beautiful ryokan. Greeted by the sweetest ladies in Kimono, we were brought their in-house matcha tea, wagashi sweets as well as a warm foot soak at the lobby, coupled with ocean view. After choosing 3 of my favourite yukata robes (one for each night I stayed there), we went to our room. Extremely spacious with the biggest bed I have ever seen (seriously, larger than king), we had the most gorgeous room of tatami flooring, and the scent of cedar wood filled our nostrils as we took in the setting of our accommodation. With two private onsen baths (one outdoor and one indoor), and two public onsen baths (one for male and one for female), it’s time to enjoy onsen. During night time, it might be better to enjoy the indoor private onsen, especially during colder months. But in the mornings, the rooftop private onsen boasting an unobstructed view of the ocean was heavenly. A hungry man is an angry man. Trust me, you will never be angry here at Wakamatsu Chita Hot Spring Resort. They served the most beautiful and sumptuous Japanese breakfast ever. Breakfast is served in your room, like private butler style. Each day, you can indicate the time you would like them to bring the food to you. One of the most well known edible omiyage (souvenir) is the Pyorin cake from カフェ　ジャンシアーヌ at Nagoya station. Shape as a cute chick, Pyorin represents the kochin chicken by using the kochin eggs in its production. You would love the pudding and vanilla mousses shaped like cute baby chicks and covered with a thin layer of sponge cake crumbs. Pyorin offers seasonal specials. Since it was autumn and nearing Halloween, they had the pumpkin version too. I even spotted sakura ones in some of the older IG postings by other users. Pyorin is sold only at the Cafe Gentiane at Nagoya Station for 320 yen a piece. Go early, these cuties do get sold out on peak days. When in Japan, wear Kimono. One of my personal mantra. While you are in Nagoya, why not get fitted in a traditional Japanese kimono for a stunning photo shoot in a professional studio. My jaw dropped with I saw the hundreds of kimonos varying in style, period, and colour at Kyoto haregi J STYLE (京都晴れ着 J STYLE). As the lovely ladies fuss over me to get me dressed up, dolled up to into a convincing Japanese beauty, I headed into the photo studio for my shoot. No worries if you are not sure about poses or props. These experienced experts will guide you through everything, from where are hands would be to your facial angle to ensure you look the best. A firm believer of experiencing culture of the cities I visit, Shodo – Japanese calligraphy is a way you can discover the beauty of writing and Japanese characters. In the intimate class session I had, I was taught how to handle the tools and pick up the techniques and posture to grip my fude (brush) to paint the brushstrokes. Step by step, stroke by stroke, we (I) moved on to write “love,” while my hubby picked “samurai”. I liked how the class is kept intimate so we get alot of personal attention from the teacher and got to take home our own calligraphy as a one-of-a-kind souvenir. ”Nagoya-Meshi”is a term meaning the local cuisine in Nagoya. Known for their harmonious flavours of sweet and salty that is unique to Nagoya, found neither in other cities like Tokyo or Kyoto. Let’s start off with Ogura toast – that is azuki red beans on thick toast. Regarded as a food invention conceived in Nagoya, it comprises of buttery toasted bread topped generously with ogura-an (sweet red bean paste). A heavenly combination. This toast is well known to be served at coffee houses at Nagoya, and is so popular that you will find many other snacks or omiyage with the ogura toast flavour. I visited Kihachi Cafe for their famous Matcha ogura toast. Love the addition of delicate whip and the generous azuki beans! so yummy! Recommended by my Japanese friend, I visited Misokatsu Yabaton – Yabacho Restaurant (みそかつ 矢場とん 矢場町本店) for their Misokatsu(Pork Cutlet with Thick Miso Sauce). Their pork cutlets, crispy on the outside and tender inside, are all made with pork from southern Kyushu. Their traditional aka-miso sauce, made from natural soybean miso that takes 3 years to ferment! So many more Nagoya-meshi I wanted to try (not enough time!! ), I managed to eat Hitsumabushi (Grilled Eel on Rice) a style of cooking eel that is unique to Nagoya. Visited the over 140 years old Atsuta Horaiken – Main Restaurant (あつた蓬莱軒 本店) for their trademark Hitsumabushi dish. Sitting in a tatami room, the tray came with freshly grilled-upon order eel sliced up and served on rice in a wood tub. Oh, did you know that there is actually a special procedure to eat and enjoy this dish? To start, put a quarter portion of the eel rice into your bowl and enjoy as it is. Then you have the second serving and this time, add in the condiments including wasabi, seaweed and spring onions to your liking. For the third portion, you add the dashi broth over it, like o-chazuke soup with rice. For the final portion, enjoy the best of the 3 ways you liked the most! I think many people including myself are always amazed at how realistic and delicious looking the Japanese food sample displays are. This round, I got the chance to try making these tasty looking wax and plastic food samples. Just a stone’s throw from Nagoya station on the Higashiyama line, I arrived at Chukyo Shokuhin Sample Shop (#中京食品サンプル) and made tempura and ice cream parfait with my hubby. We even got a tour after the workshop to see the real master craftsmen at work creating the food samples! Visit Satsuki and Mei’s House from the movie My Neighbor Totoro. Ghibli fans out there, this is something you do not want to miss out. Added this in, even though I didn’t manage to make it at the end. Located at Morikoko Park (Ai-chikyuhaku Kinen Koen) in the Nagakute-cho region of Aichi, which is only about 40 mins out of Nagoya city, visit the recreation of Satsuki and Mei’s House from the movie My Neighbor Totoro. Do note that to enter the house, tickets are required. It is recommended to get the tickets prior at Lawsons (in case they run out when you arrive at the park). Do get more details at their English site here. Good post about wonderful location. I finally planning my journey so your material could be useful. Thanks! Cheers.